Launched in Los Angles in 2008, Collina Strada is the exciting new womenswear brand by designer Hillary Taymour. 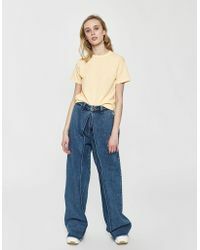 Its focus is on strong, directional silhouettes aimed at fiercely independent young women, with a broad range of Collina Strada tops, dresses, sport separates and luxe accessories. 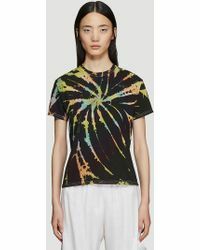 For the Collina Strada tops collection, expect to see everything from dramatic leather or denim crop tops to slouchy tie-dye T-shirts and tanks with a cool, sporty vibe. These edgy, unexpected designs will add a serious dose of attitude to any ensemble.